Christopher Bell, Ph.D., is an assistant professor of religious studies at Stetson University. He received his bachelor of arts degree in creative writing and religions and his master of arts degree in religious studies from Florida State University. He received his doctoral degree from the University of Virginia, where his area of concentration has been in Tibetan and Buddhist studies. 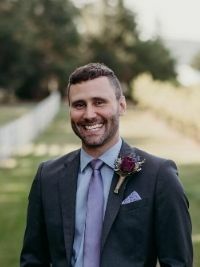 He has experience as a teaching assistant and as an instructor at both Florida State University and at the University of Virginia, as well as experience for one year as a teaching associate at the Hong Kong University of Science and Technology in Hong Kong. During his graduate program he was awarded a Fulbright Institute of International Education Graduate Fellowship for International Study and completed extensive multi-country field research in the Chinese cities of Xining, Chengdu, and Lhasa, Tibet, as well as in Dharamsala, India. He is a member of the Phi Beta Kappa honor society. "The Ritual Evolution of the Nechung Protector Deities." In Current Issues and Progress in Tibetan Studies: Proceedings of the Third International Seminar of Young Tibetologists, Kobe 2012. Journal of Research Institute, vol. 51. Tsuguhito Takeuchi, et al., eds. Kobe: Kobe City University of Foreign Studies, 2013. "Divination, Prophecy and Oracles in Tibetan Buddhism." In Prophecy in the New Millennium: When Prophecies Persist. Sarah Harvey and Suzanne Newcombe, eds. London: Ashgate, 2013. Book Review of Tibetan Ritual, edited by José Ignacio Cabezón. Journal of the International Association of Tibetan Studies, no. 5 (December 2009).